SLP Cheshire & Stockport: Ideas, Courses & Resources! 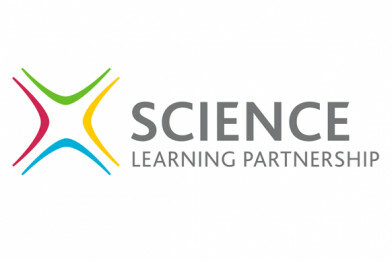 Cheshire and Stockport Science Learning Partnership have so much to offer. Have you seen their latest newsletter? Take a look and get in touch with them to sign up! Looking for resources for topics? Here’s a useful article on pollution which features in the chemistry specs and some background to potable (drinkable) water. Want an engaging starter? Try this! Comparing the sizes of microorganisms and cells up to 1mm. How could you use this in revisiting maths skills? Here’s a selection collated after the AQA Hub meetings and here’s a useful physics equation resource to share with students. The following might also be useful if you are trying to explain to students/parents/SLT how the new combined science grading works. For those of you running science clubs and wondering whether the effort is worth it – I’d say so! And, as always, check out what your local SLP has planned. This course provides participants with strategies to improve the progress made by low attaining students in science. it supports the development of numeracy and literacy skills in Science and the identification of science misconceptions. There is an increased mathematical demand in science and a greater understanding is necessary to accelerate learning and raise attainment for science GCSE’s. This course explores the typical weaknesses in mathematics that hinder students’ ability to understand and solve scientific problems. It will give teachers an increased confidence in teaching the mathematical aspects of secondary science and the skills and strategies to meet these requirements. With curriculum change at A level and GCSE on the horizon presenting challenges for school science departments, it seems an appropriate time for those supporting school science to meet to discuss and share good practice. We are delighted to announce that Sarah Old from Ofqual will be joining our summer Head of Science network meeting to take your questions and feedback on the changes to the science qualifications. We expect the discussion to cover topics such as comparable outcomes in the first year of a new qualification, tiering, how the new Combined Science grading scale works and the new ways of assessing mathematical and practical skills. There will be an opportunity to submit questions in advance. In addition we plan to look at how schools are structuring the science curriculum; whether that is a five year journey; an extended key stage four or a transition Year 9. We hope that you will be able to join us and share your experiences. If you have been asked to teach physics and it is outside your specialist area, this course is for you. It has been developed with the Institute of Physics and throughout the course we will develop your understanding of the principles of physics and the skills and strategies needed to teach the subject effectively and improve student motivation and attainment. This, in turn, will increase take-up of physics at GCSE, A level and beyond.